Happy World Book Day! Besides Christmas and my birthday, World Book Day has to be my favourite day of the year. To celebrate I have teamed up with 3 fantastic book bloggers, to discuss the books that made us love reading. 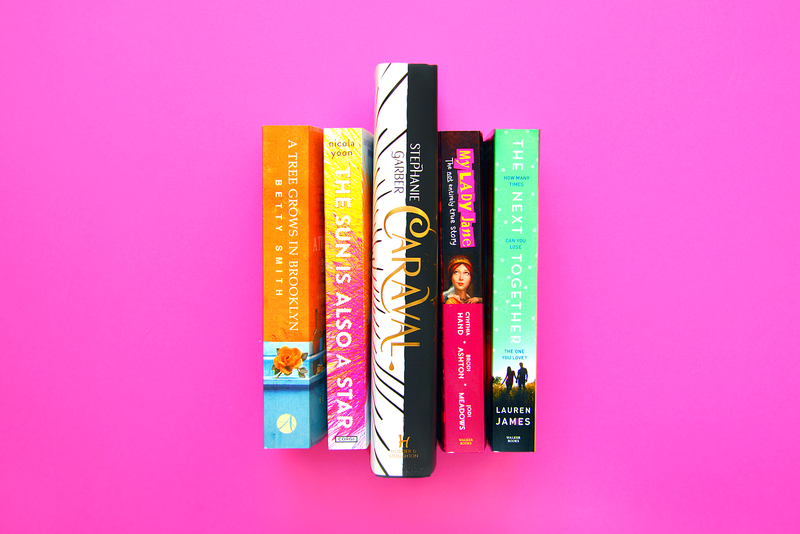 We'll also be giving away 5 incredible YA reads, so stay tuned for that. Books are such a gift to humanity and I for one, firmly believe that everyone should read. Reading is a gateway to all learning; it develops your vocabulary and imagination and let's be fair - books are awesome. With news articles and teachers expressing their fear of the declining literacy of teenagers, it’s so important that now more than ever, young people are presented with quality content and shown that there is more to literature than the same 20 classics we are all forced to read in school. I didn’t have much money growing up so going to my local library was a great form of entertainment and that’s probably where my love of reading started. Judy Blume’s Forever was the first book that I really connected to. It’s an iconic coming of age tale, that’s really paved the way for the current YA genre and it’s definitely a key book in my personal reading journey. Another one that stands out is Hard Love by Ellen Wittlinger; a story of unrequited love. The lead character, John really intrigued me and was unlike anyone I’d ever read about before. His quirky personality and love of making zines influenced me a lot, helping me to embrace my creativity and to be ok with being a little bit weird. (It also introduced me to THIS beautiful Bob Franke song, which still makes me tear up to this day). It was around this time that I first watched Confessions of a Shopaholic. Ok, ok so it’s not the most prestigious film but to a 14 year old me, it was everything. I became Becky Bloomwood obsessed, buying a green scarf just minutes after seeing the film...and then I discovered the books. 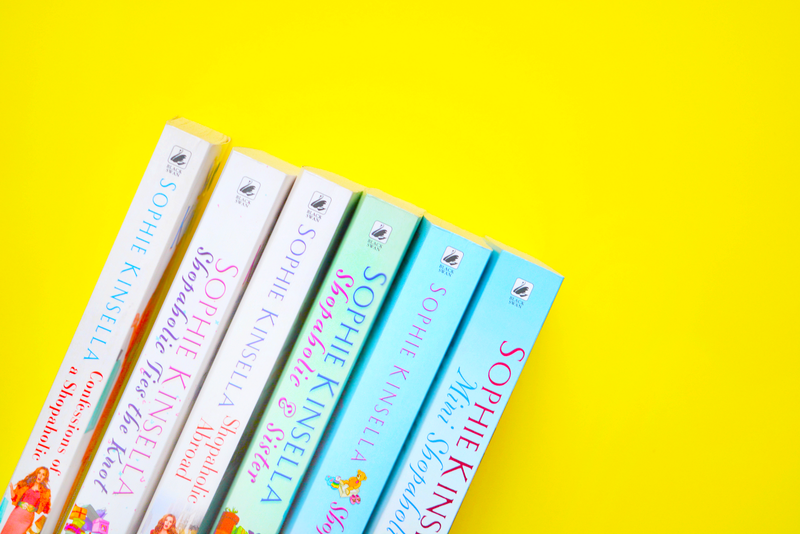 The Shopaholic Series by Sophie Kinsella holds such a special place in my heart. Those books have been with me through so many difficult times in my life and knowing that I could dive into Becky’s crazy world at any time was always such a relief. A friend, knowing how much I loved it, bought me the entire series as a Christmas present a few years ago, making it the first book series I owned - best gift ever right? I could talk all day about the books I love but for now I will leave it there. I hope that whatever you’re doing today you find a little time to relax, give real life a break and just read. Be sure to check out Celeste, Becky and Vicki's posts to see the books that made them love reading. Haha yes! All the characters are so likeable and they are such a fun, easy read to shake you out of a bad mood. Awh I love this post! The library was one of my favourite places growing up too, I didn't have a lot of money so that's where I got my books for quite a while. I still visit there ever so often! Aw who ever though to invent libraries, is a genius. I still visit libraries too, especially when I go back to my hometown and don't want to take lots of books with me. What?? I love watching Confessions of a Shopaholic! It's go-to movie (along with Devil wears Prada) when I want to relax and paint my nails, or something like that, haha. Now I really, REALLY want to get the books! Thank you :D! Yes!! It's such a good movie, definitely better than it's given credit for. What got me into reading is The Mara Dyer trilogy by Michelle Hodkins. 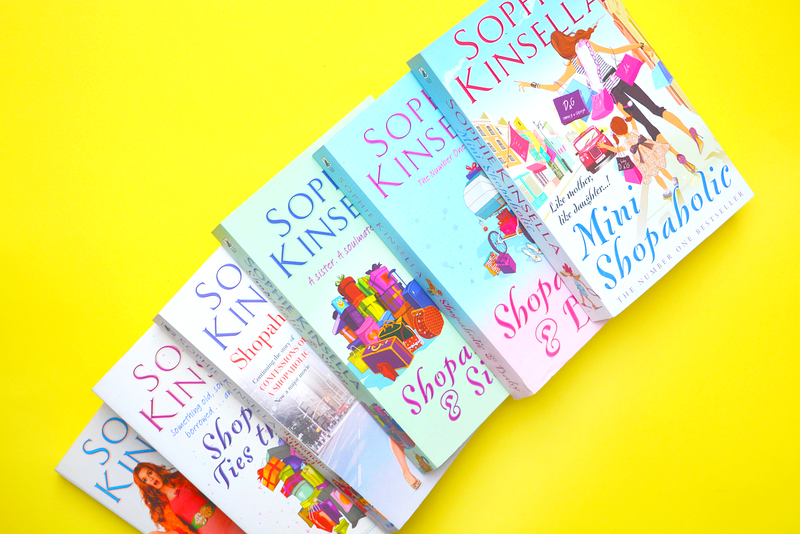 I am looking forward to reading The Shopaholic series. :) Loved your post. There are so many books that made me love reading, but I would say The Giver in third grade got me started! Great choice of books! Thanks new blog buddy!